St. Mary's is where we were married. You do not need to enter the Church boundary to locate the cache. When published we let loose two travel bugs. Tarring Neville lies on the main A26 Newhaven to Lewes road, and consists only of a church, 2 farms and a few cottages. 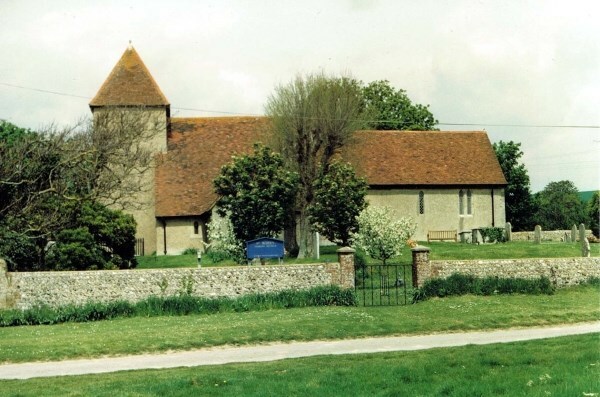 The church which was mainly constructed in the 1100 - 1200's contains an iron chest brought ashore from one of the vessels in the Spanish Armada. Tarring Neville has some nice views across the Ouse valley towards Piddinghoe.